Autoimmune diseases – disorders are illnesses that causes the body’s immune system itself. The body’s own tissue, such as the skin, connective tissue and cutaneous vessels are attacked. If untreated, autoimmune diseases have serious consequences for patients. Often a collaboration between different specializations for long-term care (dermatology, rheumatology, internal medicine) may be necessary. 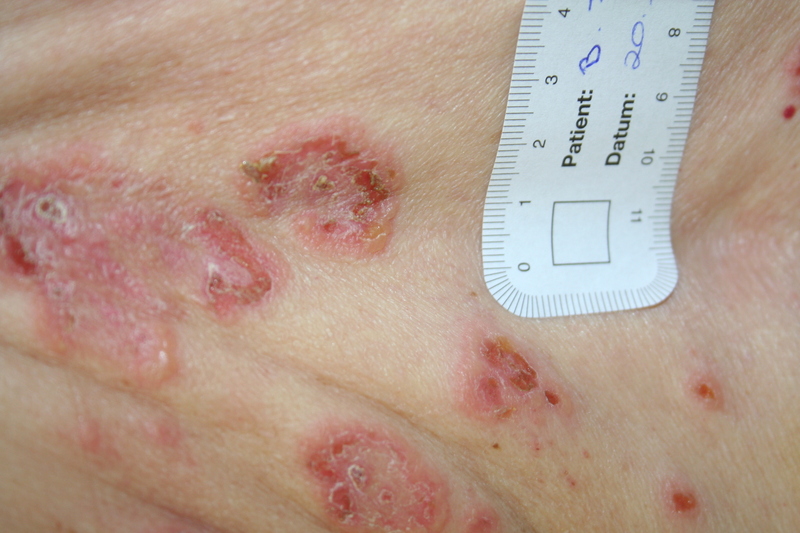 For example: lupus erythematosus, dermatomyositis, scleroderma, bullous diseases (bullous pemphigoid, pemphigus vulgaris).